Pt Chevalier Pirates celebrate their win over Glenora Bears. © Copyright Image: Marc Shannon / www.photosport.nz. The Pt Chevalier Pirates are champions of Auckland once again, after edging past Glenora 6-0 in a gruelling SAS Fox Memorial Premiership Grand Final on Sunday. Pt Chevalier scored on six minutes via Matti Tuitama, with Francis Leger converting, before putting in one of the all-time great defensive showings for the 74 minutes which followed, to secure the club’s fourth first division title since 2013. Played following hours of heavy rain at Mt Smart Stadium #2, the middle battle was brutal, while on the edges the Pirates were organised, urgent, and in the end completely dominant. A clever flick pass from Gary Fuimaono metres from the try-line, on his way to being bundled into touch, set up Tuitama’s try, with Leger converting from a tight angle. Overall the Pirates had the better of the first half, but in the second Glenora enjoyed the lion’s share of possession, and went agonisingly close to hitting back via Jordan Tuarae inside the final 10 minutes, only for the veteran playmaker to spill the ball over the line. 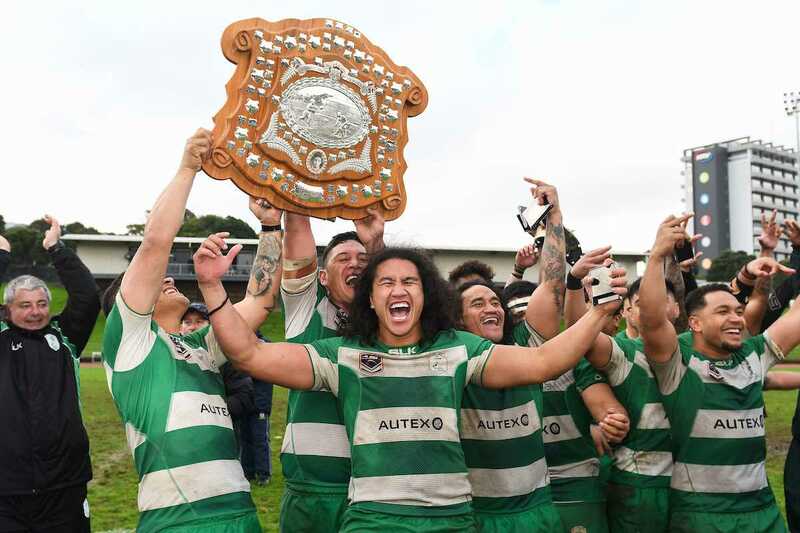 The title is Pt Chevalier’s first since 2015, having lost the last two deciders to Papakura and Glenora respectively, and means the Pirates finish the season with both the Fox and the Stormont Shield in the trophy cabinet at Walker Park. Pt Chevalier 6 (Matti Tuitama try; Francis Leger 1 goal) def. Glenora 0. At Mt Smart Stadium #2.